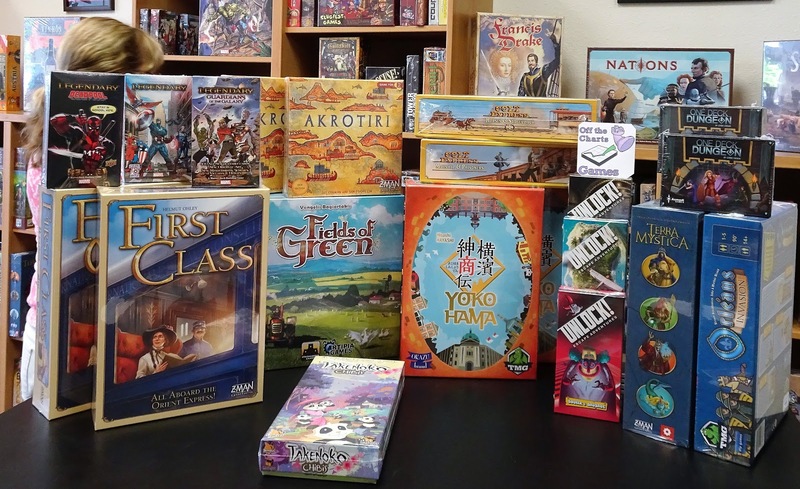 New from Tasty Minstrel Games is Yohohama, a strong strategy that's played on a modular board. You are a merchant of Yokohama, vying to gain fame through successful business ventures. 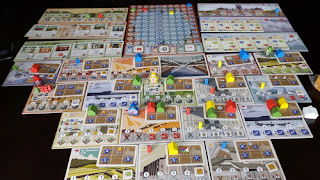 There are a number of ways to gain fame, such as fulfilling orders with foreign powers, learning foreign technology, and developing the city by building shops and trading houses. 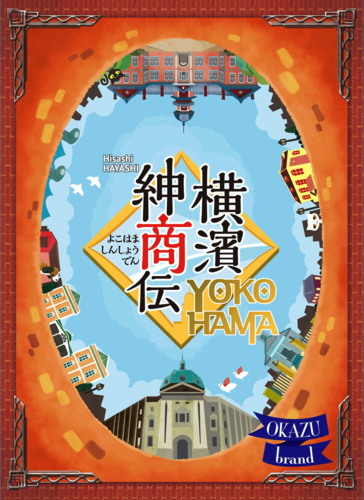 In order to achieve these goals, you will roam the streets of Yokohama, gaining the benefits of the various areas of the city, and earn the favor of foreign agents. 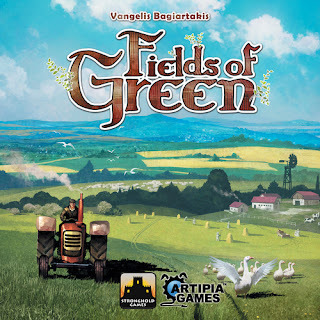 New from Stronghold Games is Fields Of Green, a 2 to 4 player game that plays in 45 minutes. play area trying to create a winning economic engine. We will have a special demo session for Fields of Green on Saturday, June 17th from noon to 5 pm. The event is free and open to all who want to learn more about this game. Come - learn - and play. 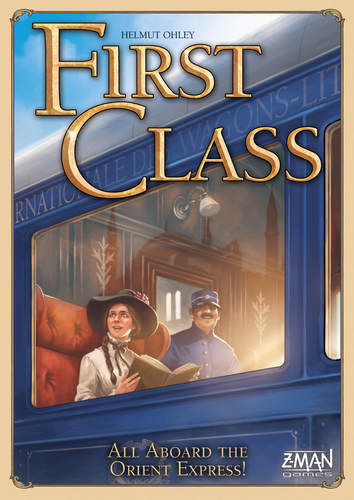 From Z-Man Games is First Class, an Orient Express inspired card game for 2 to 4 players. The Orient Express: the name alone evokes the wonder and luxury of a first-class journey along a scenic European landscape. But if the Orient Express was yours, what would such a venture imply? 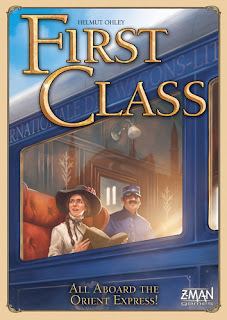 For this project to be successful, you will need a well-connected route, luxuriously outfitted railroad cars, and many passengers (including a celebrity or two). Choose your cards carefully to outplay your opponents, and your first class enterprise will truly be... First Class. Cards represent each train car and provide a visual representation of the growth of your empire as they extend away from your player board. Each car has a point value that can potentially add to your score, so adding and upgrading train cars is key to victory. 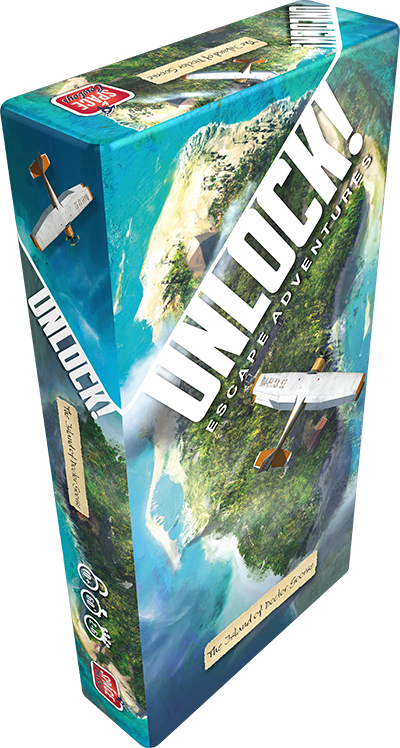 New from Space Cowboys is Unlock! 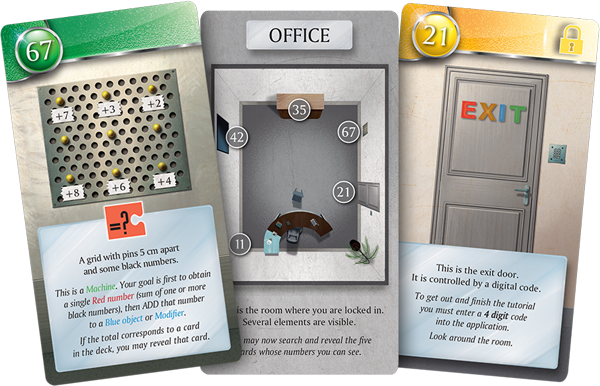 Escape Adventures, a cooperative card game inspired by escape rooms. Initially, they've introduced 3 separate stand alone adventures. 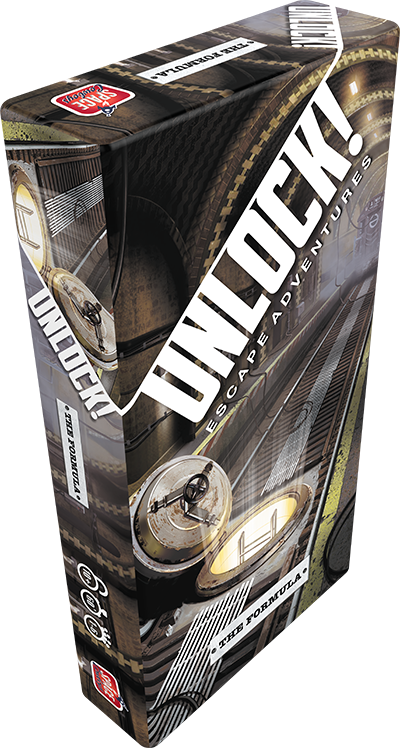 Using a free app, players are given a 60-minute time limit, clues, and code checks. On the cards that you reveal from your deck, you’ll find items scattered around the room and machines that must be strategically manipulated. 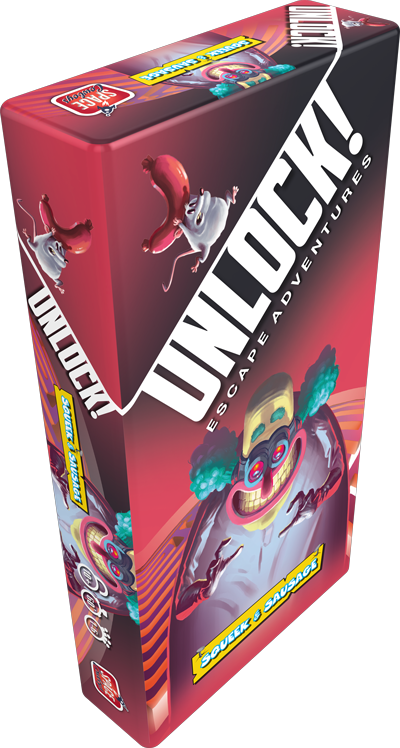 Ultimately, by logically combining red and blue cards (such as a key and a locked cabinet) and by solving challenging puzzles, you’ll be able to gain new cards from the deck and advance closer to your solution. 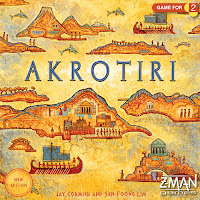 After being missing in action for a time, Akrotiri is now back in stock. 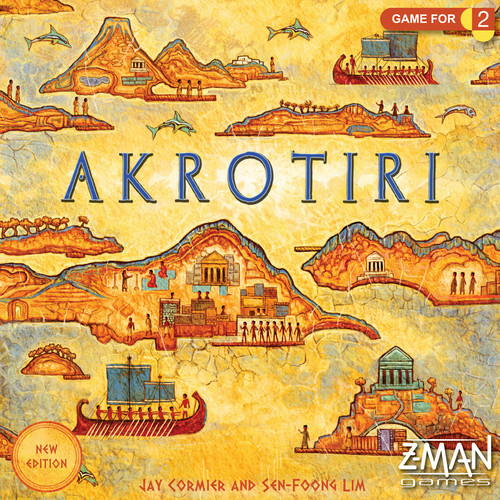 Akrotiri is a 2-player game aimed at those who appreciate a deeper strategy game. A tile placement, hand management, and pick-up and delivery game. 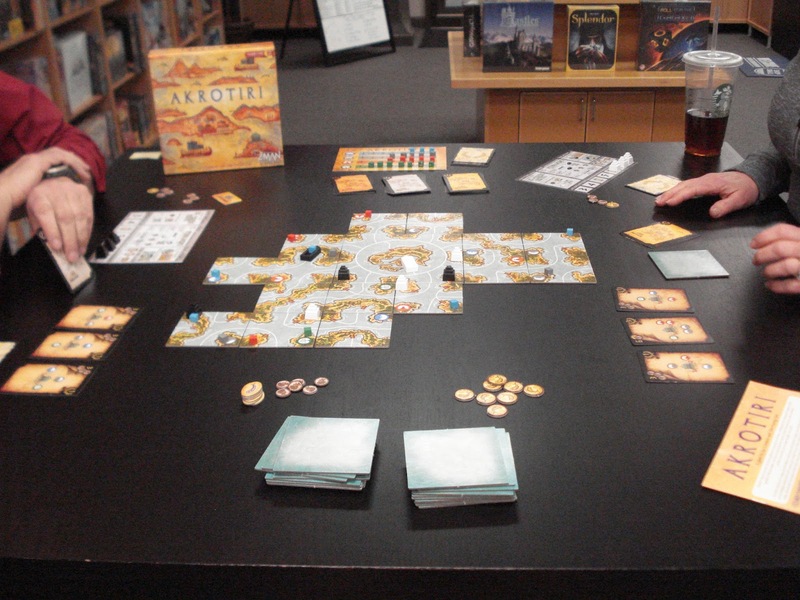 Players place land tiles to the central game board in order to make it match the maps they have in their hand. On the various islands surrounding Thera, players will gather resources and ship them back to Thera to sell in order to funds voyages in search of temples. Players earn points by excavating the bigger harder to find temples. Both players also have secret goal cards that aren't revealed until the end of the game.